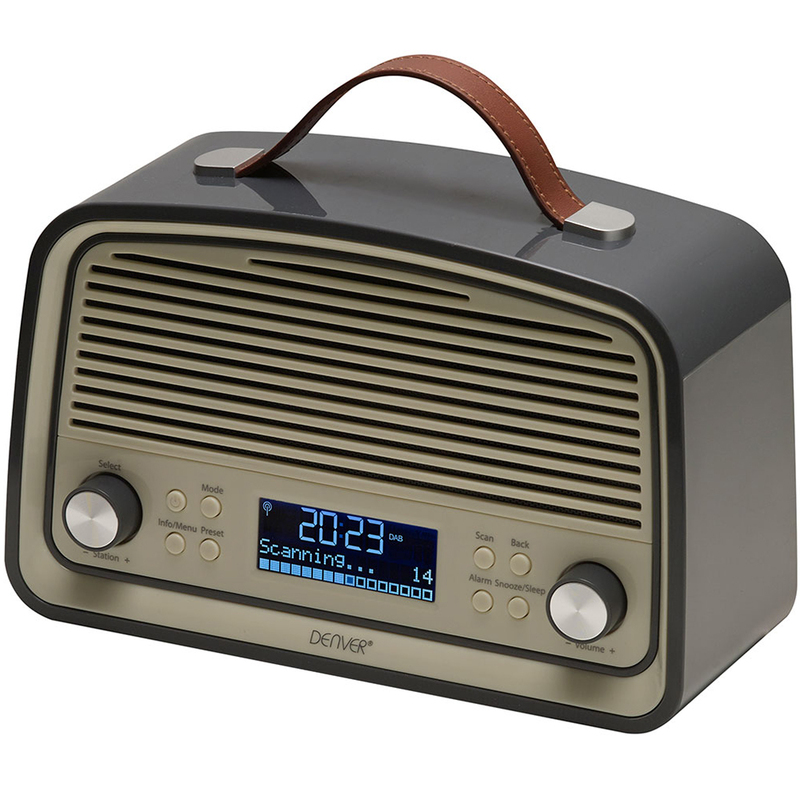 The Denver DAB-38 digital radio in dark grey combines a traditional design with modern technology. 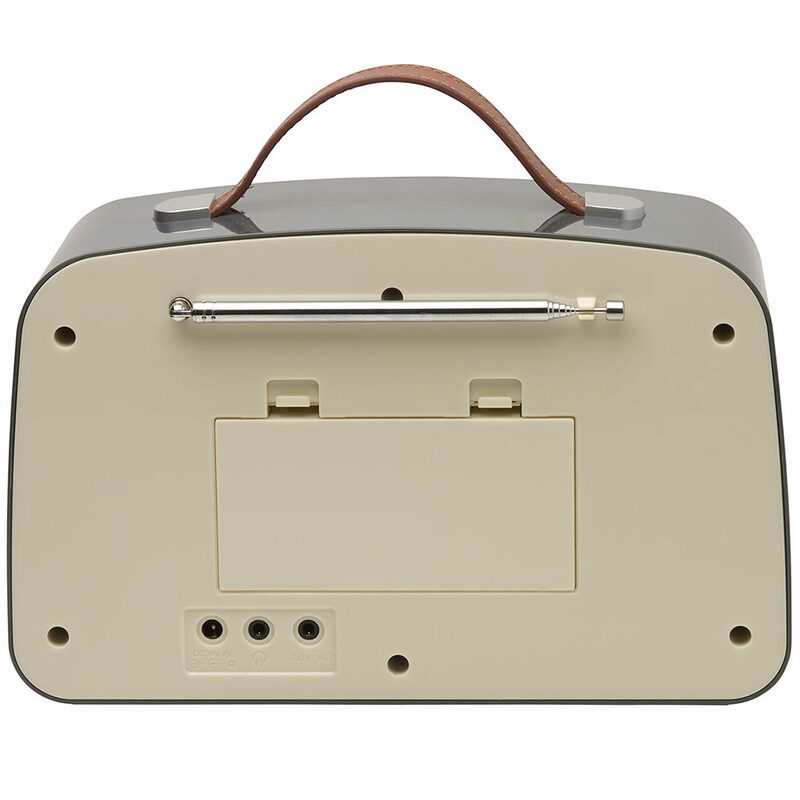 The retro style with rounded edges and old school controls, makes this little system a modern classic. Pick up and play wherever you are using the smart carry handle. 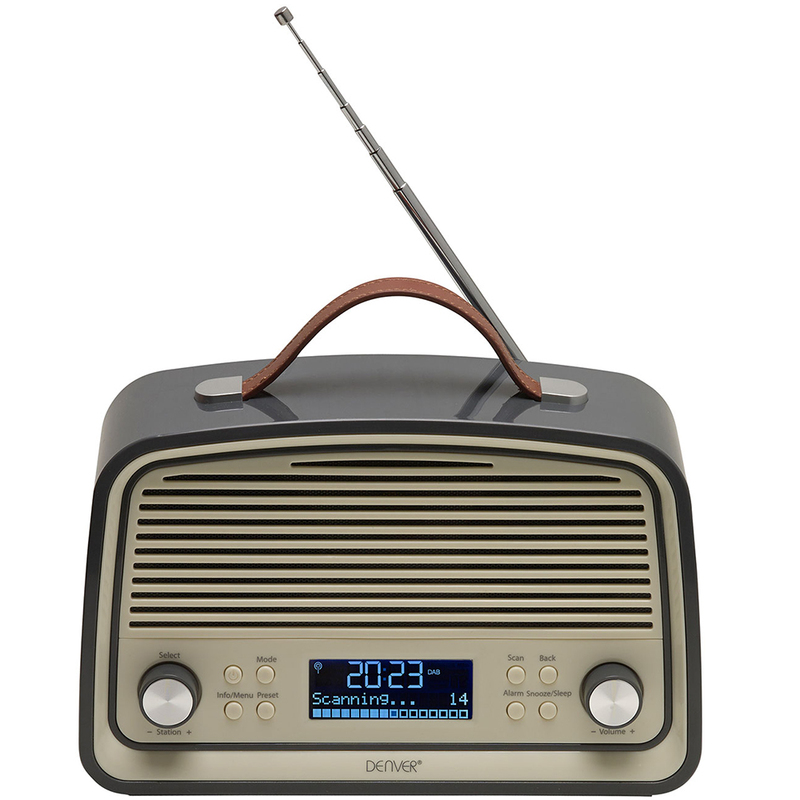 Switch between DAB and FM radio, and select the station you require, which is clearly displayed on the 2.8” LCD screen. The dual alarm clock gives you the option to wake up by radio or buzzer, depending on your mood. 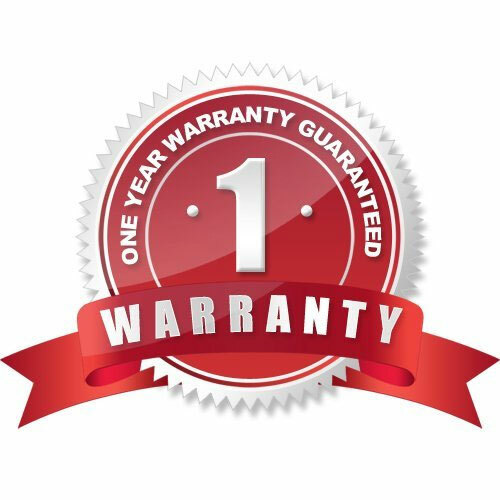 Other features include a snooze button, sleep function, stereo headphone jack and battery back-up. Finding your favourite radio station couldn’t be simpler! The auto scan will search and automatically save all available DAB stations, or you can scan manually if you prefer. Switch to FM to find all available FM stations. Preset up to 10 of your favourite channels in both DAB and FM modes, to save searching through the complete list each time. 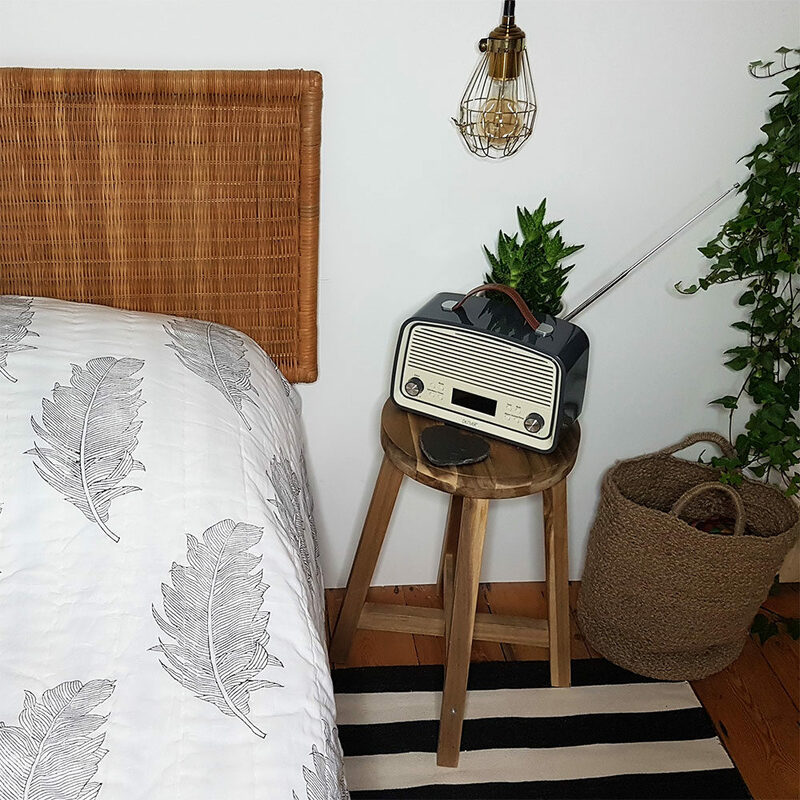 Whether you prefer to wake up gradually to your favourite radio station, or more abruptly with a buzzer, the dual alarm gives you the option to suit your preference. You can set two different alarm times, and if you’re not quite ready to face the day, press the snooze button for a little extra time. Drift off to sleep gradually with the sound of the radio, and set the sleep timer so that it automatically turns off. See clearly with the 2.8” LCD display with backlight. 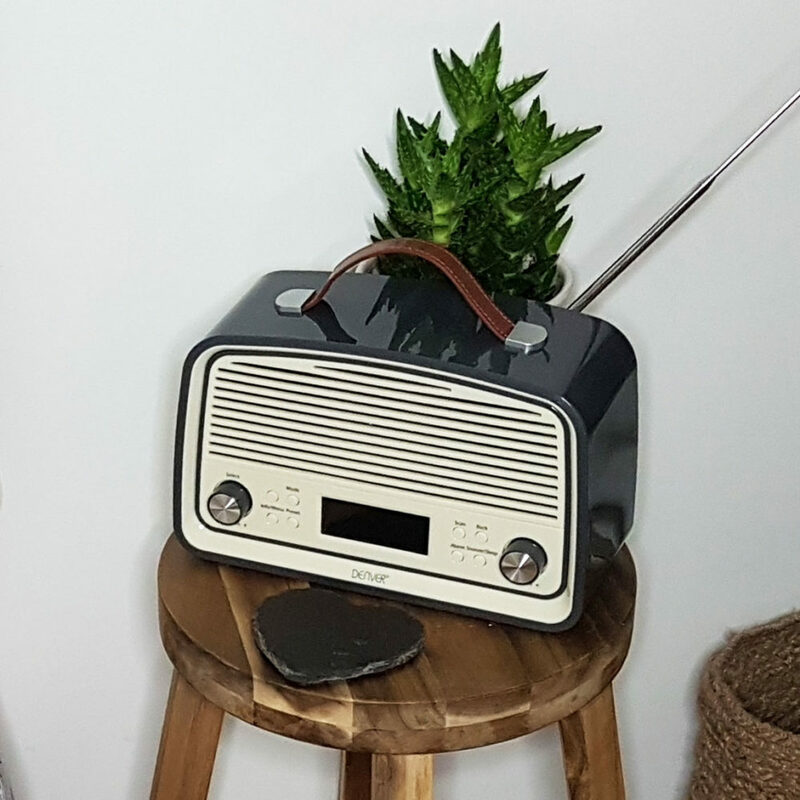 You’ll stay right on time with the 24 hour clock, whilst being able to view the radio stations when searching and listening. The aux-in socket enables phone, iPod, MP3 and PC connection, to further your music choice. Listen in private using the stereo headphone jack (headphones not included). The DAB-38 is totally portable, with the option to power through the mains or by battery (batteries not included). – Aux-in for connection to phone, MP3 players etc. Extremely happy with this radio. It was delivered earlier than expected and in great condition. It looks very stylish and the sound quality is excellent. I particularly like the snooze function so that I can fall asleep to it knowing it will automatically stop after a certain time if I want it to. It has been easier to programme my favourite channels than my previous DAB radio and the display area is clear and precise. It was an early birthday present from my husband and I love it (and him!) Thank you 3wisemonkeys. Got as a birthday present from my husband. Looks great and sound quality very good. Would definitely recommend. Service from three wise monkeys also excellent, arrived earlier than expected. Looks great, easy to use, sound is crystal clear.